Whether you know exactly what you want or you don’t have the faintest idea where to begin, we can help you create a ring that will suit your budget, taste, lifestyle and personal ethical preferences. 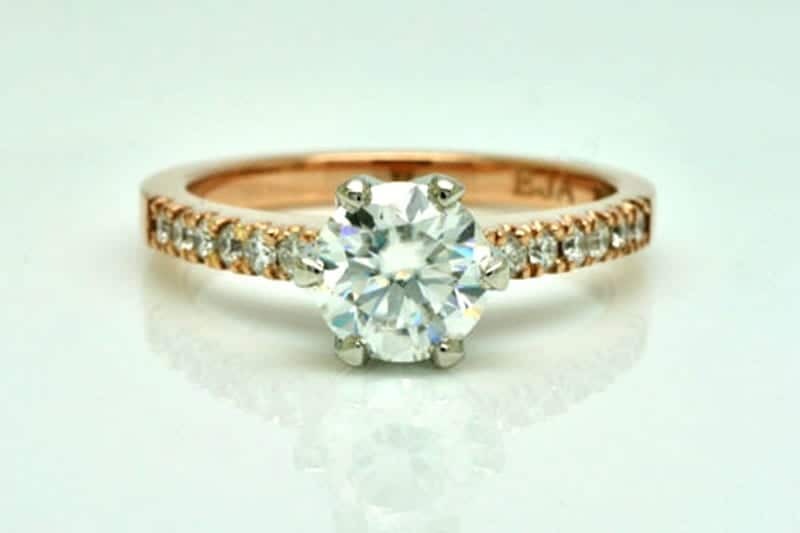 Every EJA engagement ring is custom designed and handmade to order so it’s exactly what you want. We’ll help you understand the language of jewellery and take you through all stages of the design process. That means you can enjoy all the fun and excitement and avoid that overwhelmed feeling that often comes with engagement ring hunting. 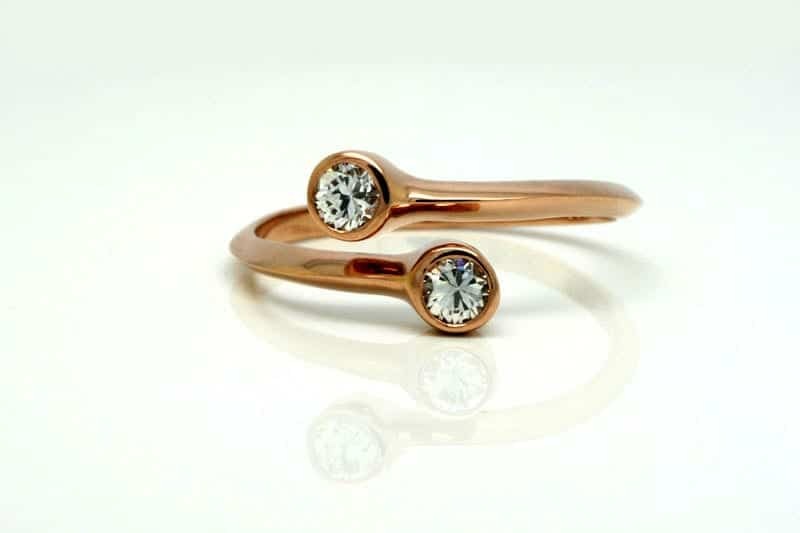 Our engagement rings are handmade right here in Australia using responsibly recycled or fair-mined metals and ethically sourced diamonds and gemstones. 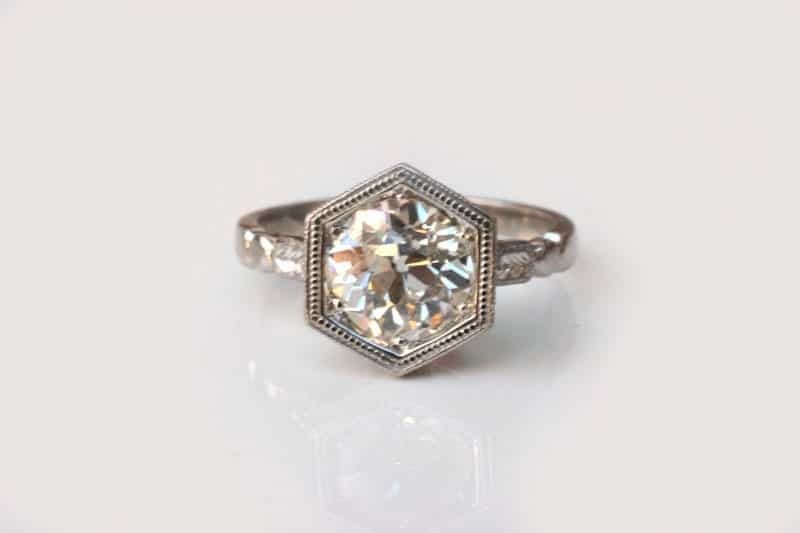 Click on the image to learn more about this vintage-style diamond engagement ring. For diamonds we can offer traceable Australian stones in contemporary cuts, vintage modern-cuts, old-cut vintage diamonds and laboratory-created diamonds. You can also opt for moissanite – a laboratory-made diamond alternative. Learn more about diamonds and diamond alternatives here. The most popular gemstones for engagement rings are sapphire, ruby and garnet. We can offer you Australian, US, vintage, Fair Trade and synthetic options. Of course, other gemstone varieties are available. 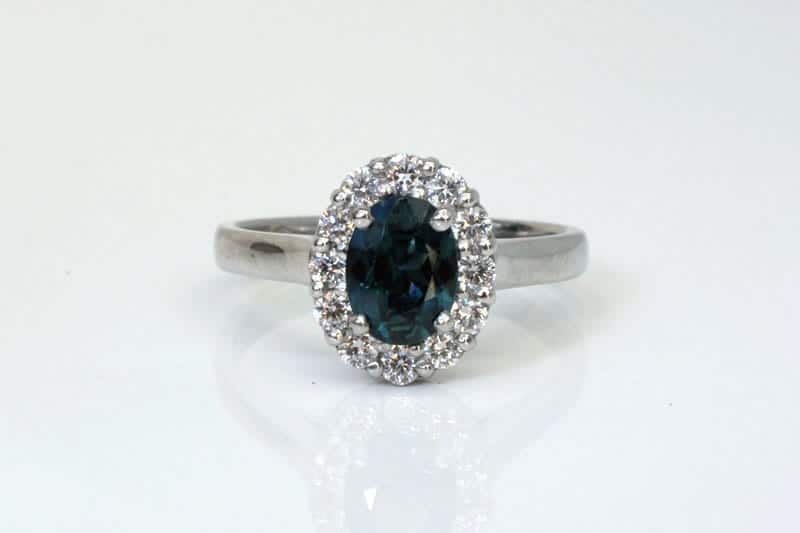 We can also work with your own heirloom diamonds and gems if their condition is suitable for setting in a ring. Follow these links to learn more about gemstones and synthetics. You might be wondering how you can design an engagement ring via the internet? It’s actually easier and more convenient than you might think. We have literally hundreds of very happy customers who’ve already worked with us in this way. Once you make contact with us you’ll guided through the design process by email. You can share your ideas and we will go back and forth with you until the design is ready and the diamonds or gems are chosen. Typical technical drawing of a ring pre-production. Click on the image to see how this ring turned out. As most people are ‘visual’, we rely heavily on drawings and photographs of existing rings to help zero in on the design you’re after. Of course, we’ll be asking a lot of questions about your partner to understand their colour preferences, style, taste, interests and any special requests. And we’ll take into account practical things like workplace requirements as well. If you’re ready for some inspiration take a look at our Gallery page. After more than 10 years of designing rings this way, we have perfected the art of designing remotely. (Just read through our testimonials if you’re unsure.) But if you need reassurance that you’re dealing with real people, we’re also very happy to chat with you by phone. I want to thank Melinda for all of her guidance and help in designing and producing our beautiful ring. She helped us source local gems (which was important for us) and was just so extremely communicative throughout the whole process. She made a real effort to get to know us at first, tailoring the experience to suit rather than just “selling jewellery”. The end result is a beautiful ring and a happy fiance! I would highly recommend Ethical Jewellery Australia for anybody wanting a very unique and personal piece created by lovely people, with the peace of mind that comes from knowing how your materials are sourced. There are many things that can affect how long it might take to create a custom designed and handmade ring. It’s rarely a quick process, so give yourself plenty of time. Coming up with the right design might only take a few hours, but then again it might take weeks. Similarly, finding, choosing and having your preferred diamonds and/or precious stones delivered all takes time. Then there’s manufacturing which, depending on the season (back log of work), complexity of the design and what other skills are required (gem setters, engraving, valuation etc.) all adds to the process. 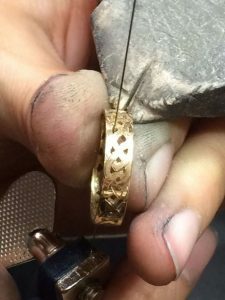 That said, as a rough guide, it usually takes us about five to six weeks to deliver a handmade ring once the design has been signed off. 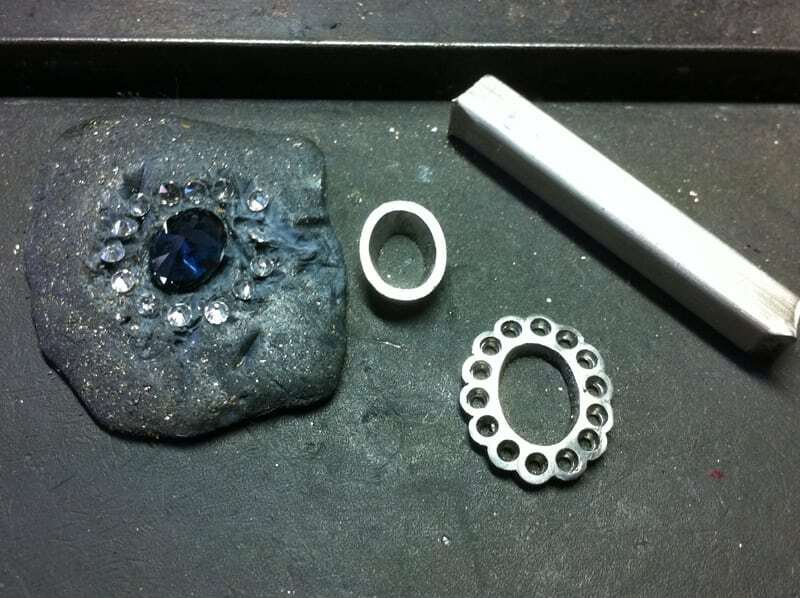 Bespoke jewellery design and manufacturing is one of those industries where things take as long as they take. The important thing is if you have a specific deadline, please, please, please let us know when you first contact us. If we can’t meet your timeline, we’ll be honest and upfront about it rather than stress and disappoint you with unfulfilled promises. How much will a handmade engagement ring cost? There are two parts to this answer; the cost of the design process and the cost of the ring itself. Simple designs without CAD renderings are free of charge, as is our advice. 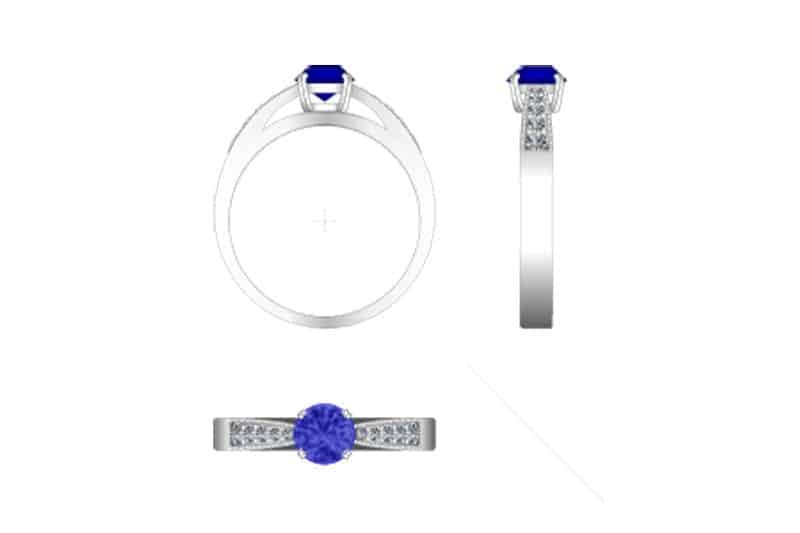 However, if you’re looking to design something unique and want to see a scale image of the ring before committing to having the ring made, then can offer a full design service with CAD images created just for you. This is typically $150 unless multiple revisions are required. The world market. The pricing of international commodities like precious metals and diamonds can be volatile depending on what’s going on in those markets. Sometimes you’ll pay more. Sometimes you’ll pay less. It’s not something any jeweller has control over. To get more of an idea about how much things cost, you can visit out Ring Budget Guide page. But please keep in mind, the best way to get a meaningful estimate of how much the ring you want will cost is to get in touch and let us walk you through the options. We find the best place to start is with how much you can afford or want to spend – and work backwards from there to get the best value from your available budget. What’s a ‘ball park figure’? To give you some kind of an idea, the starting point for a handmade engagement ring is about $2,500 to $3,000. This sweet and simple engagement ring is a relatively inexpensive design that could easily become very expensive if you added pink diamonds (for example). Click on the image to learn more about this ring. Most of our customers tend to spend somewhere between $4,500 and $7,000. 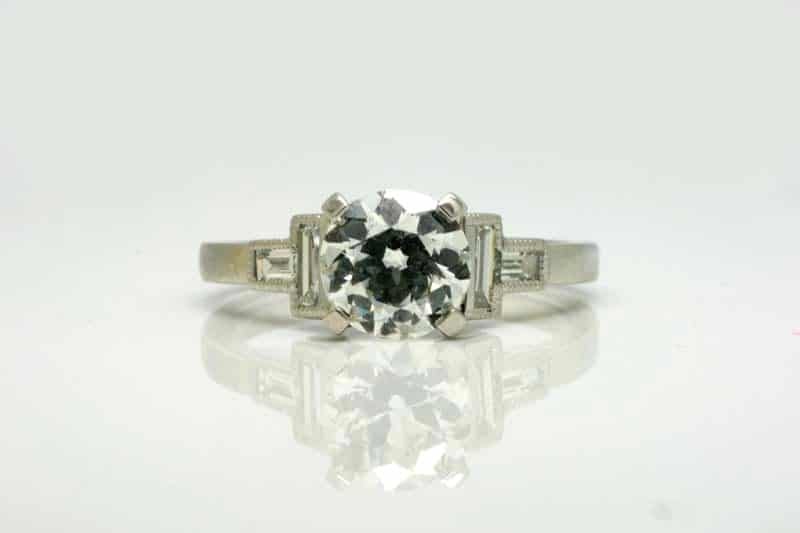 Vintage rings with diamonds over a carat start at $10,000. Choosing a vintage (post-consumer) diamond can make a 1+ carat ring more affordable, but it’s still in the $$$ range. Click on the image to learn more about this ring. Still not sure about designing the ring yourself? Designing an engagement ring without the input of your partner might not feel right for you. Either because you don’t feel confident or because you know your partner will want to be involved. You’re not alone, and there is an alternative. From time to time people come to us wanting to buy the important bits for their partner’s ring, but don’t want to go through the design process without their partner’s input. That’s why we created The Promised Ring. We’ll happily help you choose the right metal and even the diamonds and/or gemstones if you like. You can propose with those and work on the design together later. You can read more about The Promised Ring here. To start the design and quoting process, feel free to email us (preferred) or give us a call at 07 3369 2596. But if you’re not quite ready for that, you might like to download a copy of our Engagement Ring Design Guide.